One of the most difficult concepts for any technician is how alignment angles change when a vehicle is accelerating, braking and cornering. The view seen when the sensors and targets are on the vehicle in the alignment bay is just a small snapshot into the suspension’s geometry. A vehicle’s weight, center of gravity, height and dimensions will influence the amount of weight transfer. The amount of weight transferred equals the vehicle’s weight times the center of gravity height, times the lateral or fore-and-aft force coefficient (expressed in g force), all divided by the track or wheelbase dimension in inches. Weight transfer can be reduced by lowering the center of gravity height, by reducing the total car weight or by increasing the car’s track or wheelbase width. Moving the wheels further apart works because it is expanding the base that is supporting the center of gravity. Weight transfer happens during all maneuvers and for all drivers – from aggressive teenage drivers to senior citizens. Most crossover SUVs experience and deal with weight transfer a little bit differently than their car platforms. When a driver hits the brakes and turns the steering wheel, a variety of things happen. When the brakes are applied, weight is transferred to the front wheels, the nose of the vehicle dives and the rear may rise up. When the driver turns the wheel, weight is transferred to the outside front wheel and the body tilts to that side. As the driver returns the steering wheel back to center and accelerates out of the turn, weight is transferred to the rear and it squats down. The changing attitude of the body and suspension in relationship to the road during weight transfer has a direct effect on the angles at the wheels. These changes to the angles can increase traction by changing the footprint of the tire, or it can cause the vehicle to skid out of control. Alignment angles are not static. This is a critical concept that the undercar technician must understand. When a vehicle is sitting on the alignment rack and the angles are measured, it is only a small snapshot. Sometimes it is an incomplete picture that the technician needs to complete with a careful inspection and taking other measurements. The geometry and pick-up points of a suspension change in relation to the road as the vehicle’s pitch and yaw changes. Also, angles like caster, camber and toe influence each other as the driver turns the steering wheel. Another factor is flex, or compliance, in the suspension and steering system. If a bushing is soft, it will compress and effectively change the suspension pick-up point. If a steering rack bushing is worn, the rack could move and induce bump-steer and maybe give the driver an uncertain feel. Wheel bearings and hub units that have too much play can cause changes in toe and camber. If more than one component has too much play, the tolerances could stack up and lead to a wild ride. Some of these terms and concepts, like weight transfer and contact patch, you may have only associated with racecars. But, on today’s road vehicles with sophisticated suspensions, these terms are coming off the track and onto the road. To understand the dynamic side of suspensions and steering, it is critical to first understand the weight transfer and how it interacts with the tires. These concepts can then be applied to the angles when the vehicle is in motion. Suspensions are designed to do more than simply keep the passengers more comfortable. The forces of weight transfer have to be absorbed or taken up by the suspension system; otherwise they will be quickly expended at the tire contact patch and could result in a sudden loss of adhesion. Transferred weight is absorbed and dampened by the springs, shocks and sway bars. These components are tuned to give the best possible tire contact patch, while still giving the occupants a comfortable ride. While the suspension is absorbing the forces of weight transfer and transferring it as a controlled vertical load to the tire, the control arms, links and related components are working to maximize the geometry to give the best possible contact patch as the ride height and body attitude changes. 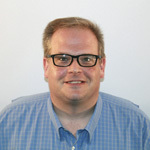 When a vehicle is engineered, even before the first production prototypes are built, the suspension, steering systems and chassis are tested on a computer. The testing will “virtually” measure the suspension angles under the full range of motion. Also, it will take into account dynamics, like weight transfer and body roll. This changes when they engineer a crossover SUV on a car platform. From this information, the engineers will tune alignment settings. These computer models determine the specifications and tolerances you see on an alignment console. This is a snapshot of the static settings for that moment in time when no outside forces are acting on the vehicle. Dynamic changes in camber can be difficult for some technicians to visualize. At speed in a corner, the car’s body rolls (leans) to the outside of the corner. This lean and change in ride height is used by the suspension to change the camber to maximize the contact patch at that moment. Wheels do not move straight up and down without any changes in camber. Trailing arms and suspension links move in different radiuses and arcs that affect camber. To make this easier, stick your arm out and move it up and down. Notice, it does not move in a straight line. Instead, it travels in a circle or arc. Now, just move your arm at the elbow. Notice that it travels in a tighter arc with a shorter radius. The same is true for control arms, tie rods and other suspension links. Engineers use this effect to induce dynamic camber. The dynamic camber change works well if the vehicle is in proper working order. If the ride height is wrong, static alignment angles are out of spec or suspension components have too much play in them, the whole geometry can make the car uncontrollable. This is why worn shocks, struts and springs could lead to longer braking distances and diminished handling. Also, if a vehicle has too much camber, it could diminish the braking ability by altering the contact patch. When the vehicle goes over a bump, the spindle goes up and down in its radius, determined by the trailing arms. If the tie rod rotates in a different radius than the spindle during this suspension travel, it will push or pull on the steering arm of the spindle, changing the direction of the front wheel, steering the car. Caster angles are dynamic when fore-and-aft weight transfer is occurring. 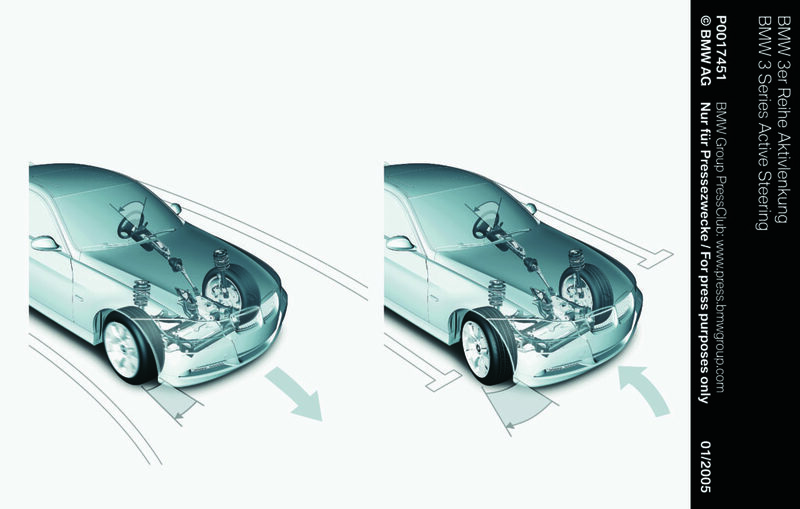 Some automakers use “anti-dive” geometry to cancel out this affect and other forces. 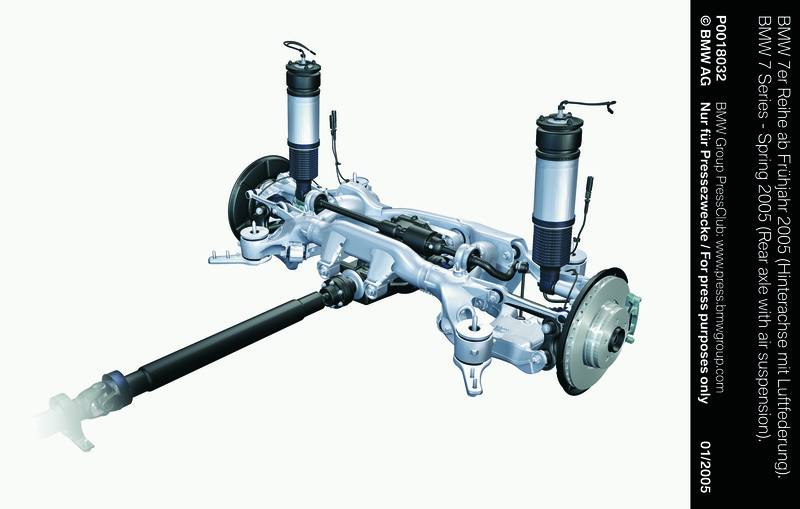 Caster is the angle of the forward or rearward tilt of the vertical steering axis. Caster is affected by the frame angle. The angle of the frame changes under weight transfer and load. When a driver hits the brakes, the front suspension compresses and the frame angle becomes positive. This makes rear caster more negative or positive. Too much caster in either direction can have unwanted effects on steering and handling. In an emergency maneuver, when weight is transferred to the front wheels, the driver could lose control. The change in frame angle could also be exaggerated along with negative caster if springs and shocks are worn. If a vehicle is overloaded in the rear and the negative frame angle leads to excess positive caster, the driver will notice decreased steering effort. Also, the driver may find that that feedback in the steering wheel from bumps and potholes is more noticeable. Caster influences camber when the steering wheel is turned. This relationship is called camber roll. Caster in a spindle will cause the hub and wheel to move up and down as the steering wheel is turned. This is why it is important to keep the steering wheel straight when making a camber adjustment. If the spindle moves downward due to caster, camber moves in the positive direction. If the wheel moves upward due to caster, camber will move in a negative direction. This effect can help to improve handling, while allowing a very neutral camber specification. Having a grasp on what happens to alignment angles and chassis dynamics when a car is braking and turning is critical in completing the total alignment and steering system picture. 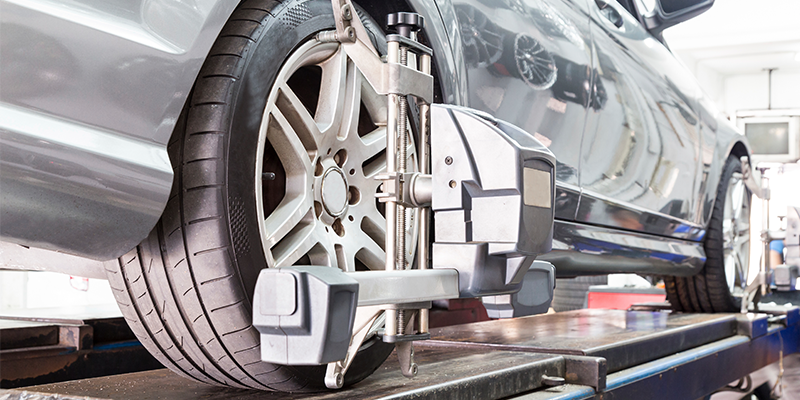 This understanding of what happens when the vehicle leaves the alignment bay can help you to diagnosis problems faster and make more alignment-related sales.